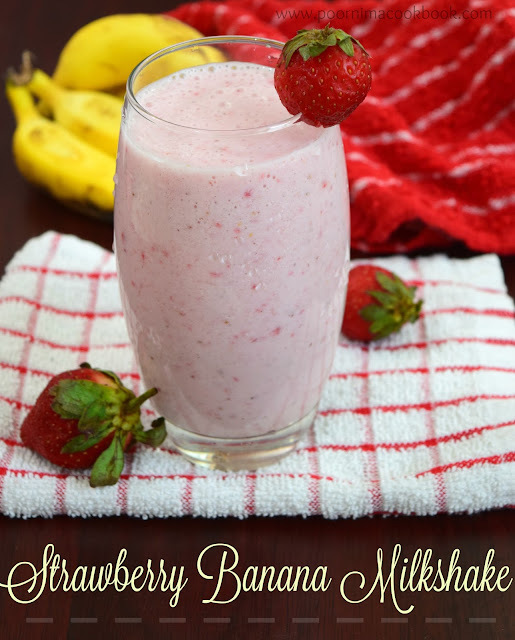 This recipe is very special to me as this is my 100th post. I also got the first prize for this recipe in Star Chef Hunt - Season 2 organized by Spicy Village Restaurants, Oman. Click here to see the award. Kulfi is a popular Indian ice cream variety; it is a rich, creamy dessert and can be made easily at home with minimum ingredients. 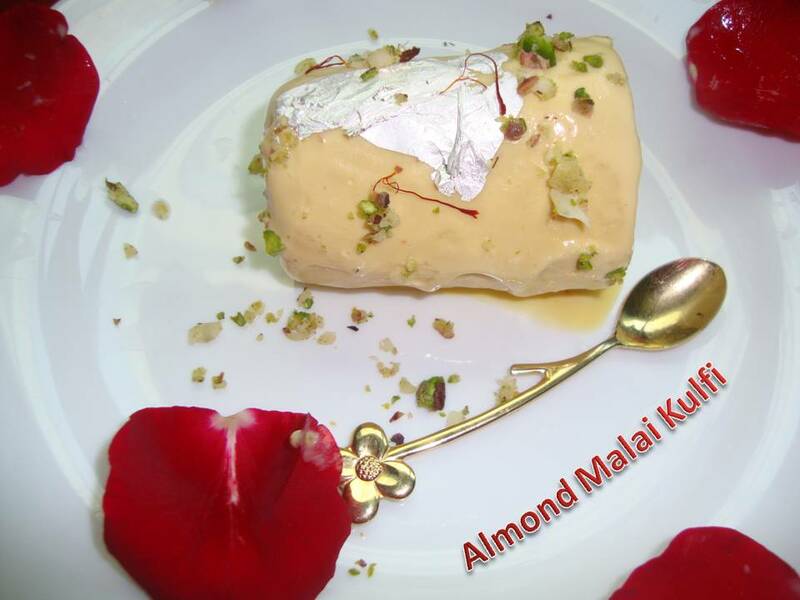 Kulfi can be prepared in many flavours like Kesar, Malai, Mango, etc. Kulfi can be stored in the freezer for upto 3 weeks. Blanch almonds and remove the skins; chop coarsely. Soak saffron in ¼ cup warm milk for 5-10 minutes. Keep aside. Take a thick bottomed vessel; add all the milks and cream. In medium flame allow to boil and simmer for 10 minutes, stirring continuously. Check for the sweetness, if you feel the sugar is less add some more. Stir in the cardamom powder and saffron along with the milk; remove from heat and allow to cool completely. Add chopped almonds and pistachio's. Mix well with hand beater. Pour kulfi mixture in kulfi moulds / matkas or any freezer proof moulds. Cover it with foil and place it in the freezer for 6-8 hours. Your refreshing and exotic dessert is ready to serve. To serve, hold the moulds under warm water and turn out onto plates. Decorate with silver warq, coarsely chopped pistachios and almonds. Instead of adding chopped almonds, you can also grind and add to kulfi mixture. Yummy kulfi. Excellent poorni... awesome clicks also..
Congrats dear ! My best wishes or you! Pls feed that last pic spoonful to me :D Looks so inviting and worth to give a try. Congratulations on ur 100th post :) Happy Blogging!! woo gorgeous.. jus want to dig in.. Felt like scooping the Kulfi out of ur blog and digging right in..;) what with the soaring temperatures here in Muscat!! 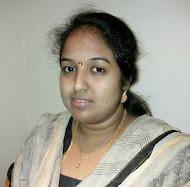 Congratulations on your 100th post, Poornima. Kulfi looks yummy and nice presentation too. Congrats on ur 100th post Poornima, kulfi looks fantabulous,super nutty and droolworthy. Congrats Poornima ! wonderful presentation....looks real yum ! Congrats on your award and the 100th post!!! wishing many more celebrations.. thanks for linking this delicious kulfi..